Achilles-Corsa Held Second Roadshow in Jogja with Cars and Motorbikes Community - PT Multistrada Arah Sarana, Tbk. After successfully completed roadshow and community gathering in Bandung and Yogyakarta, 17th March 2018 becomes the third time for Achilles and Corsa to get closer to bikes and cars communities in cities around Indonesia. This time Solo becomes the destination for Achilles and Corsa for its roadshow. Corsa Platinum Experience and Achilles Tire and Friends are the theme brought by both brands mannufactured by PT Multistrada Arah Sarana Tbk. Corsa will ask its community to start the Saturday with Satuday Morning Riding and continued with coaching clinic about dual purpose tire from Corsa. The afternoon session was the turn for car communities that will get experience sharing and some knowledge about carbon fibre body kit currently on trend. This subject will be presented exclusively by Achilles together with Reindy Riuppasa – the Fastest of the Day record holder in Sentul Drag Race 2017. Akhmad Nursyamsu as Head of Brand Activation and Sport Activity of PT Multistrada Arah Sarana Tbk said, “This year we will focus on activities for Corsa and Achilles communities through Corsa Platinum Experience “Rindu Touring” and Achilles Tire and Friends that will be held in several cities in Indonesia. 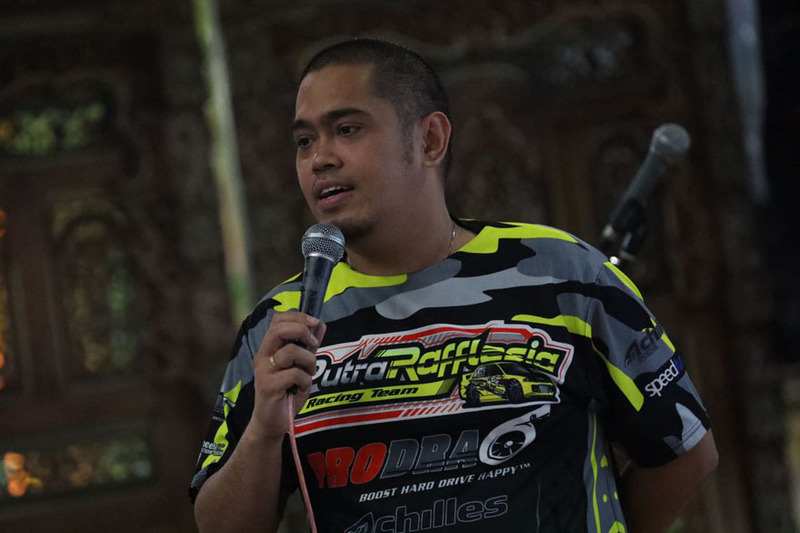 In his explanation about this event, Achu – the nickname of Akhmad Nursyamsu explains that, this event is expected to give positive impact to members of the communities, and Achilles and Corsa also expects to share knowledge and exprience in maintaining cars or how to drive carefully and safely. It can also become the place for giving product knowledge to members of the community about new product of Corsa dual purpose.In the latest material presented by Technical Support Team, it is explained that the latest technology used in the dual purpose Corsa Platinum comes from combination of compound carbon black and silica, the one used can reduce kompon to be 50% savings, and produce 50% more durable kompon compare to other kompon and without affecting the grip between the tire to asphalt. It is deliberately manufactured for touring. Corsa Platinum dual purpose has thicker pattern than other brands, and the use of silicon can keep the stable temperature of the tire to remain in low temperature and wet road.